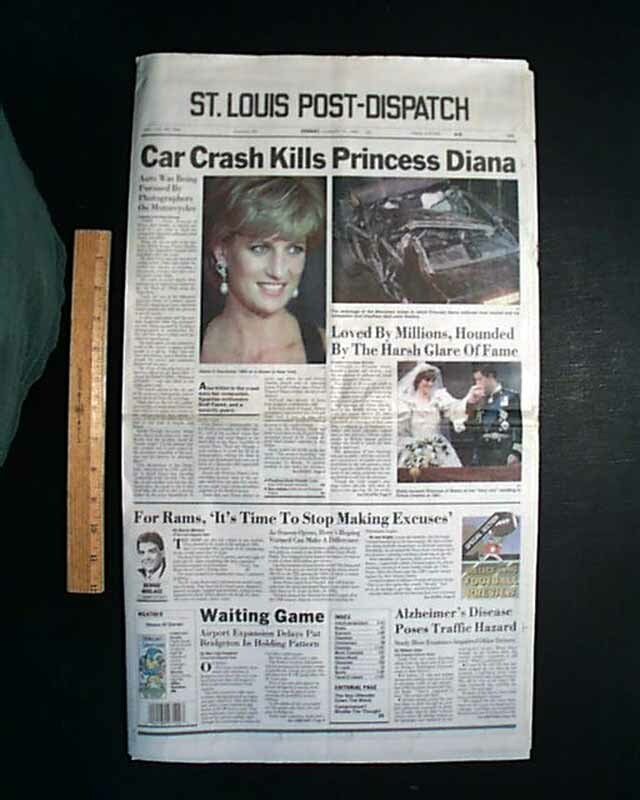 This 14 page, 1st section only newspaper has a nice banner headline on the front page: "Car Crash Kills Princess Diana" with subheads and related photos. More inside (see images). This coverage tells of the tragic death of one of the most beloved figures of the late 20th century. This is the complete 1st section (only)., and is in good condition (see images). 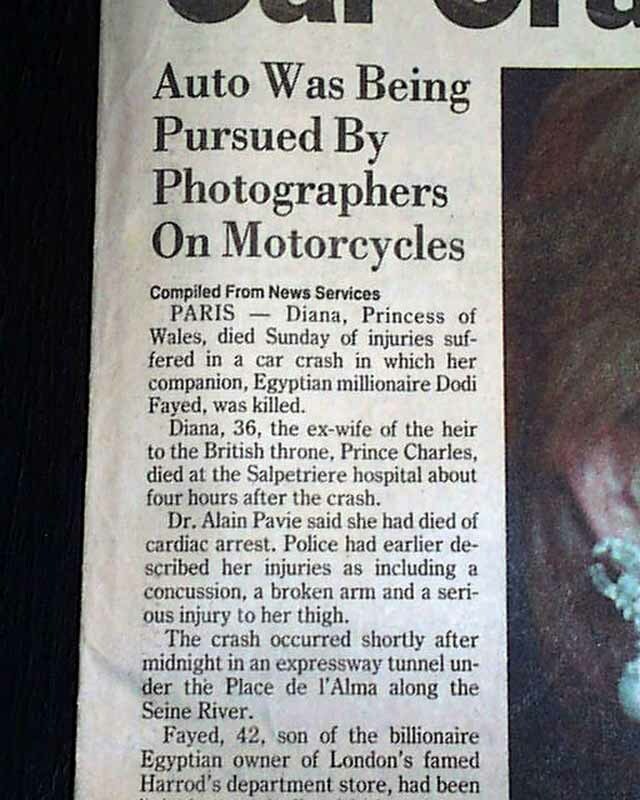 wikipedia notes: On 31 August 1997, Diana died after a car crash in the Pont de l'Alma road tunnel in Paris along with Dodi Al-Fayed and the acting security manager of the Hôtel Ritz Paris, Henri Paul, who was instructed to drive the hired Mercedes-Benz through Paris in order to elude the paparazzi. Their black 1994 Mercedes-Benz S280 crashed into the thirteenth pillar of the tunnel. The two-lane tunnel was built without metal barriers in front of the pillars. None of the four occupants wore seat belts. Despite lengthy resuscitation attempts, including internal cardiac massage, she died at 4 a.m. local time. 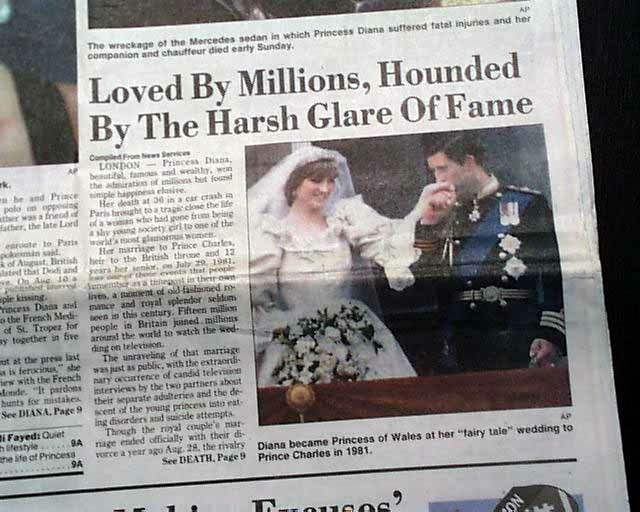 Her funeral on 6 September 1997 was broadcast and watched by an estimated 2.5 billion people worldwide. 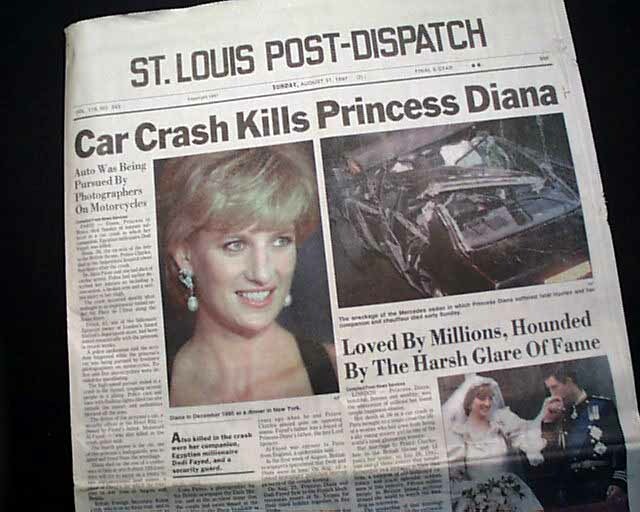 An eighteen month French judicial investigation concluded in 1999 that the car crash that killed Diana was caused by Paul, who lost control of the car at high speed while intoxicated. 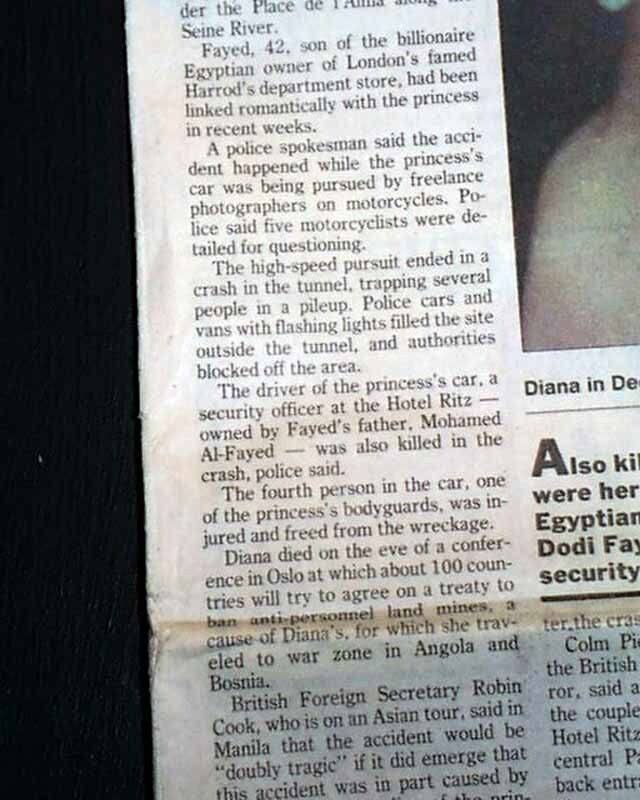 Since February 1999, Dodi's father, Mohamed Al-Fayed (the owner of the Hôtel Ritz, for which Paul worked) has claimed that the crash was a result of a conspiracy, and has since contended that the crash was orchestrated by MI6 on the instructions of Prince Philip, Duke of Edinburgh. 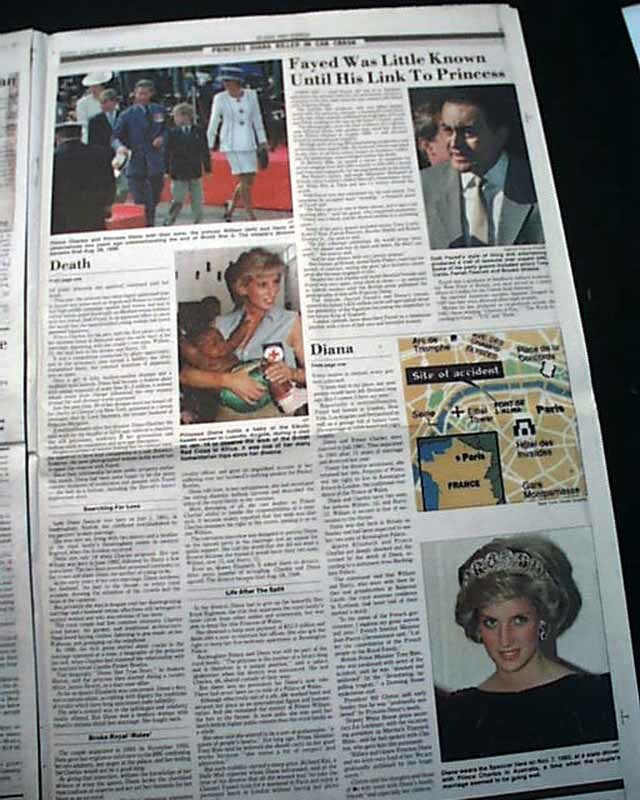 An inquest headed by Lord Justice Scott Baker into the deaths of Diana and Dodi Fayed began at the Royal Courts of Justice, London on 2 October 2007 and was a continuation of the original inquest that began in 2004. 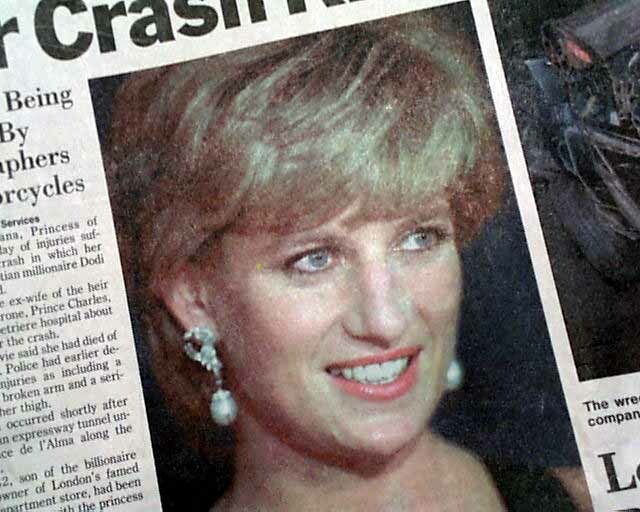 A jury decided on 7 April 2008 that Diana had been unlawfully killed by the grossly negligent driving of chauffeur Henri Paul and press photographers. The following day Mr. Fayed announced he would end his 10 year campaign for the sake of the late Princess of Wales' children.